The Nissan Xterra 2001 is a yellow vehicle that my parents bought for me. I really love my Xterra. It is mostly because it is yellow, which is my favorite color, but also because it is so spacious. At first, I felt really cramped in the front seat, but as I learned how to sit properly without my knee touching the steering wheel, it worked just fine. I love that the trunk is so large -- that makes it perfect for road trips. My only problem is the mileage. Driving just the fifteen miles home from work takes way too much gas, and I really hate that. 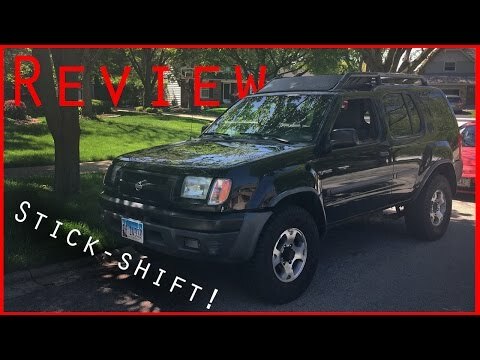 Nissan Xterra good overall vehicle that is reliable. Car performance is ok for the present time and it was excellent in the bringing when it was purchased brand new. Over the years problems did occur like multiple code associated with the engine light for issues like knock sensor and coolant sensor. Vehicle is reliable not much issues. Don't like the drive feeling is not smooth as driving a sedan. High quality SUV makes an impression. My car has been extremely reliable for years. I have always done the normal maintenance and once a year add an extra maintenance to my schedule like changing the transmission fluid. I only have one issue and that is the major timing belt squeaks often. I have tried belt dressing to moisten the belt but no help. Otherwise I am keeping the car.